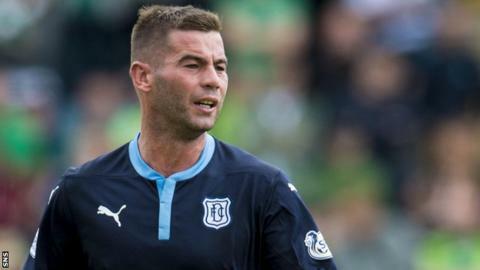 Striker Peter MacDonald has left Dundee, the Scottish Premiership club have announced. The 34-year-old joined the Dens Park club in June 2013 but has made only nine appearances this season, scoring three goals. MacDonald scored 18 times in 39 appearances last season as Dundee won the second-tier title and promotion. But he had only played once for Paul Hartley's side since October despite a run of six games without a win. MacDonald previously played for St Johnstone and Greenock Morton having come through the youth ranks with Rangers.